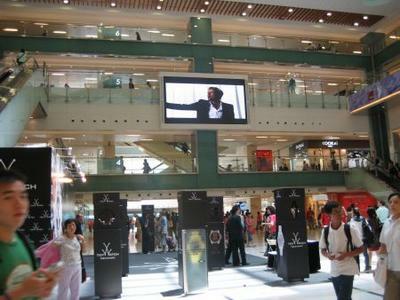 A New Look for Sha Tin New Town Plaza, right after you exit from Sha Tin MTR Station. This is one of the best shopping and dining spots in Hong Kong and just around 20 minutes travel from Lo Wu border by MTR trains. Join in and write your own page! It's easy to do. How? Simply click here to return to Post Card Photos.